A large gamut of unmatched quality Multiport Valves, Sanitary Valves And Fittings and SS Pipes And Fittings is offered by us. We stand in the midst of prominent Top Mount Multiport Valves, Sanitary Valves And Fittings and Ss Pipes And Fittings Manufacturers in India. 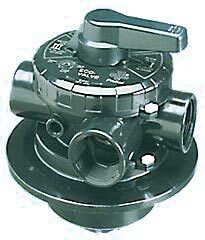 Our Filter Multiport Valves are manufactured from pure and qualitative PVC and ABS. These Filter Multiport Valves, Sanitary Valves And Fittings and Ss Pipes And Fittingsencompass both outstanding performance and long lasting life.